Personalised healthcare and personalised prevention are gaining prominence in policy debates. Yet our research suggests there is little in the way of a coherent and consistent policy approach specifically focused on the personalised prevention of breast cancer. “The data gathered in this audit is really rich and we have only just scratched the surface,” says Swann. “Each general practice has received its own individual results so the practice team can identify areas where they could improve.” And many are already making changes. “It’s jarring for someone who’s been told every year to get screened and then at age 75 you tell them to stop,” she said. John Randall, 78, says he plans to live into his 90s. He sees no reason to skip cancer screening. The stakes are extremely high for oncologists putting their trust in liquid biopsy tests, and this important study suggests that the technology is simply not ready to help them make critical decisions for patients. Writing in the journal European Radiology, the team from The Institute of Cancer Research, London, and The Royal Marsden NHS Foundation Trust explained how they performed their research, which was done in rats with chemically-induced breast tumours that show a range of fibrosis levels. This finding differs from current hypotheses about drug interaction, which have commonly explained benefits as arising from drug synergy. However, this should not be interpreted as diminishing the value of combination therapy for patients, the team cautions. Using a highly sensitive technique to measure and map cisplatin in mouse and human inner ear tissues, researchers found that forms of cisplatin build up in the inner ear. They also found a region in the inner ear that could be targeted for efforts to prevent hearing loss from cisplatin. The device delivers low-intensity electricity to the brain through 9 insulated electrodes, placed on the patient’s shaved scalp using a cap. These doses of electricity, called Tumour Treating Fields (TTFields), interfere with the molecular machinery inside cancer cells that helps them divide. A first-line nod would mean big things for Tagrisso, whose patient pool is currently limited to those with an abnormal T790M gene who have failed on other treatments. It’s unusual for any giant pharma company like Roche to tout mid-stage programs, which have a high mortality rate, especially as marketing challenges can now just as easily kill off a program just as surely as bad data ever could. Tumor Treating Fields in combination with nab-paclitaxel and gemcitabine more than doubled progression free survival and the one-year survival rate compared to historical controls in Novocure’s phase 2 pilot trial in advanced pancreatic cancer. 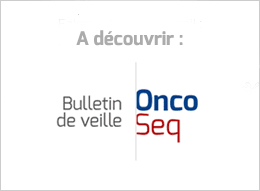 Novel combinations of binimetinib (MEK), avelumab (PD-L1), and talazoparib (PARP inhibitor) to be studied across tumor types. The companies will start with combining Array’s MEK inhibitor binimetinib with Pfizer’s investigational PARP inhibitor talazoparib, and avelumab, a human anti-PD-L1 IgG1 monoclonal antibody. President Donald Trump has long trumpeted the idea that slashing the corporate tax rate would spur job growth. But if Pfizer is any indication, hiring is likely fairly low down on the priority list for Big Pharma. It's the first sign of something that shouldn't be especially surprising -- Corporate America's tax-bill gains are largely going straight back to shareholders, rather than toward investment or (heaven forfend) wage increases. The $57 million PhRMA spent on lobbying was also the most since 2009, when the lobbying bill was $70 million. So was the $7 million spent on advertising, a cost that should rise this year, since the “Go Boldly” ads aired in 2017. PhRMA employed 237 people last year, up from fewer than 200 in 2011. The FDA’s priority review and approval of CABOMETYX was based on results from the randomized phase 2 CABOSUN trial in patients with previously untreated RCC, which demonstrated a statistically significant and clinically meaningful improvement in progression-free survival (PFS) versus sunitinib, a current standard of care. Pfizer’s Third U.S. Hematology Approval in Five Months. Pfizer’s Bosulif was expanded to treat newly-diagnosed adult patients with a rare, chronic form of blood cancer. The U.S. regulator expanded the label of Exelixis’s drug, Cabometyx, to treat patients with the most common form of kidney cancer. An active ASCO member since 1991, Dr. Burris is president of clinical operations and chief medical officer for Sarah Cannon, the Cancer Institute of HCA Healthcare. For several years now, The Cancer Letter has been writing about breaking down silos. We will ring in 2018 by smashing the walls of our own silos. In the final weeks of 2017, lawmakers are finalizing legislation that could impact access to cancer care and cancer research progress. To ensure oncologists remain able to provide high-quality care for individuals with cancer in 2018 and beyond, ASCO calls on Congress to take three key steps before it recesses for the year.